Dudes who are never cool on surfboards don’t have to sulk in one corner of the beach while the bums head over to the crashing tunnels of waves. 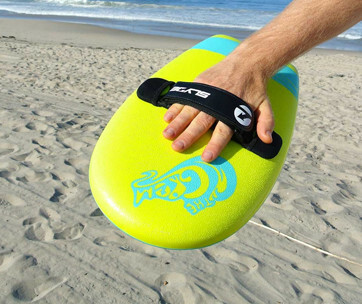 At less than 25 pounds and fully collapsible, the Pathfinder Inflatable Standup Paddleboard is a worthy alternative to the venerable, action-packed surfboard. It’s a highly versatile personal watercraft, too. 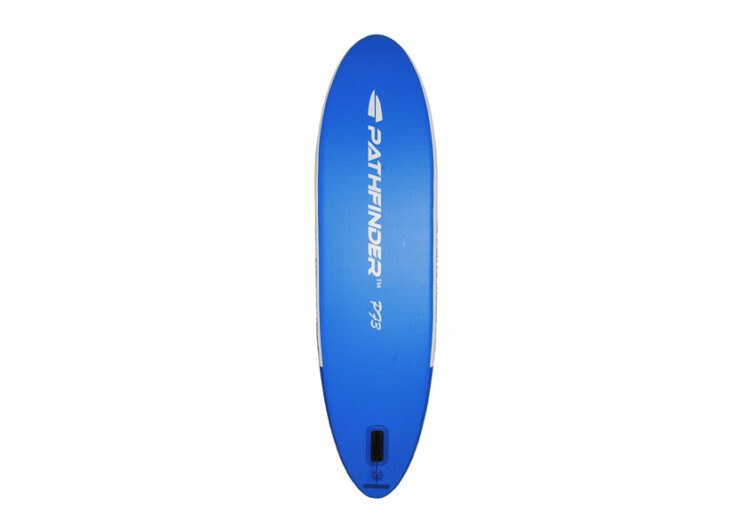 Made of heavy-duty PVC, the same kind of material that is used in many commercial-grade applications, the Pathfinder easily inflates to be as tough as standard hardboard SUP. 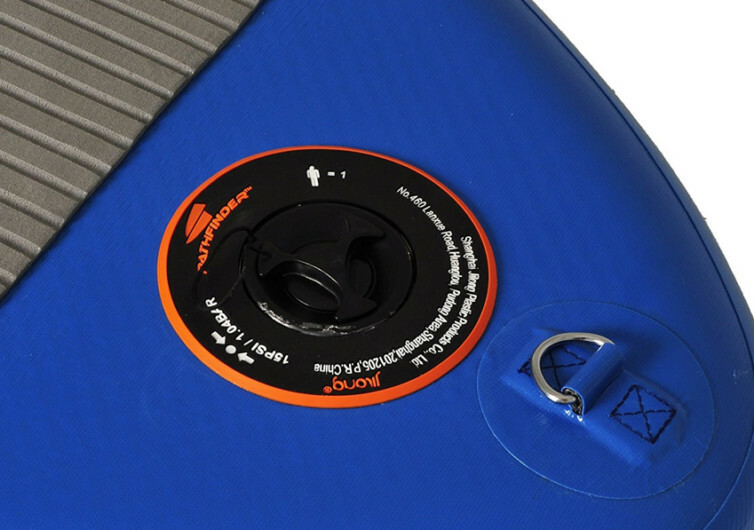 When inflated to 15 PSI, the Pathfinder can handily accommodate a 240-pound standup surfer or even a 120-pound lass with another 120-pound load fully secured by a system of bungee cords on the wide deck of the inflatable SUP. It’s the kind of watercraft that one can easily take anywhere. 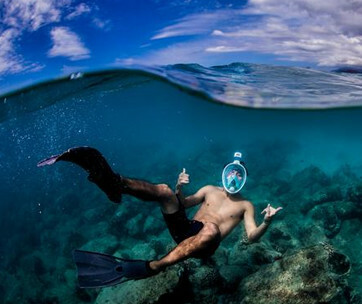 It could be the beach or a trip down the many tributaries of mighty Colorado in the Grand Canyon or perhaps the more tranquil waters of a lake. The bungee cords are an exceptional addition to securing whatever needs to be loaded onto the Pathfinder. 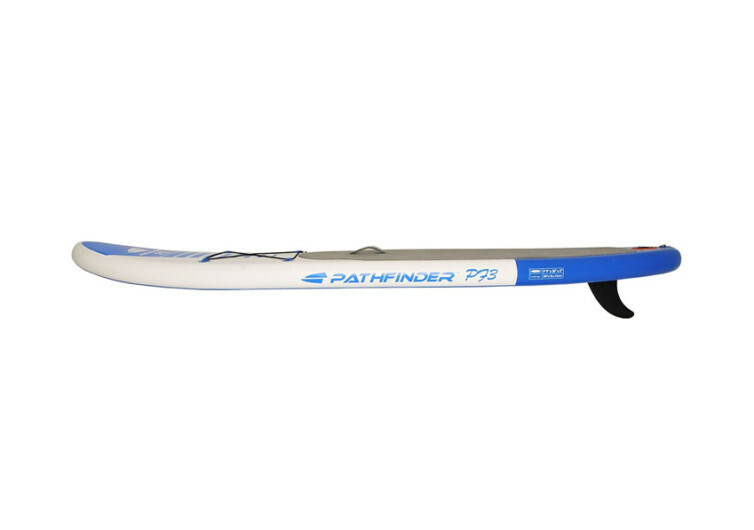 With a detachable center fin, the Pathfinder is as stable on the water as any hardboard. It’s long at 9 feet 9 inches and about 5 inches thick. Its buoyant prowess is remarkable, to say the least. At any rate, one will never have to worry about having to carry all that bulk under one’s arm and be a nuisance to other folks. 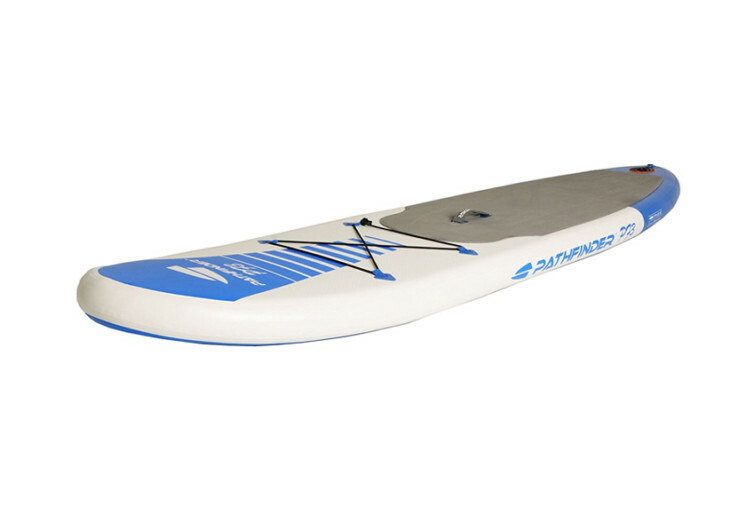 The aluminum paddle feels great on the hands and with each downstroke, the Pathfinder can easily glide atop the water’s surface. 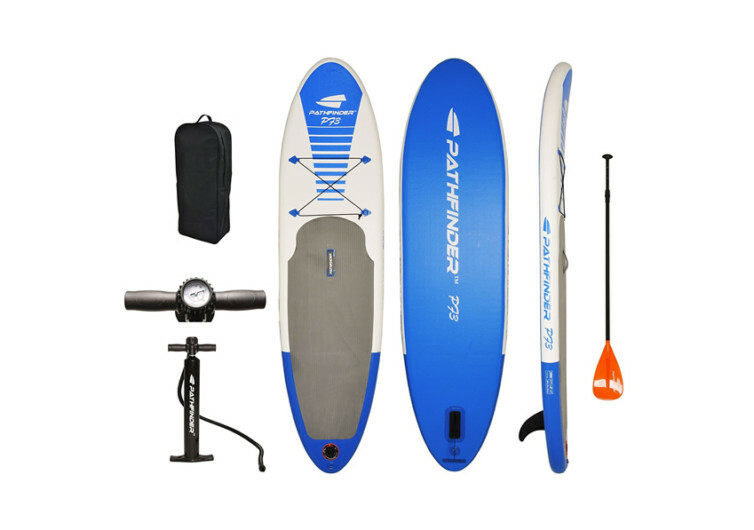 The Pathfinder Inflatable Stand Up Paddleboard makes it easy for entire families and groups of friends to have the watery adventure of their lives. 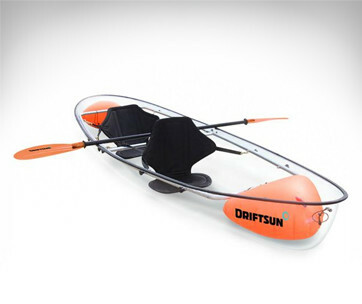 It’s also the perfect solution for folks who need to carry stuff across bodies of water.